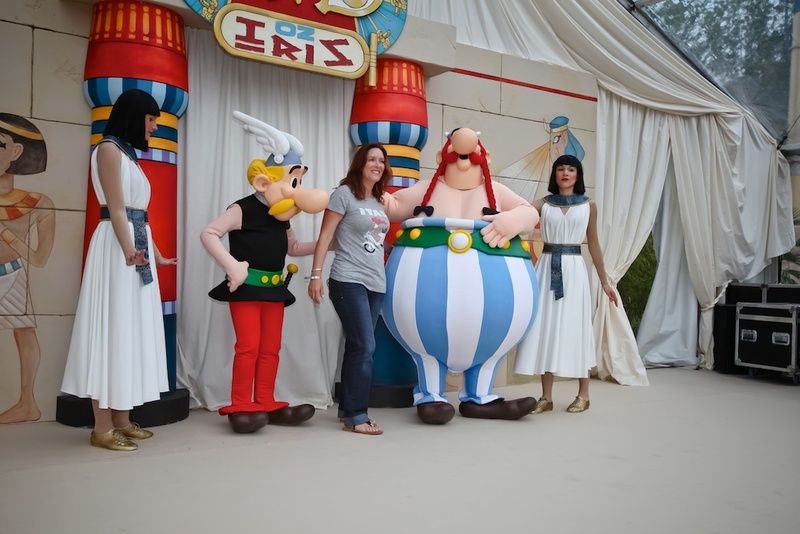 If you’ve already done Disneyland Florida ten times and Disney LA another ten times, than it’s time for a nice change and to discover the universe of Asterix. 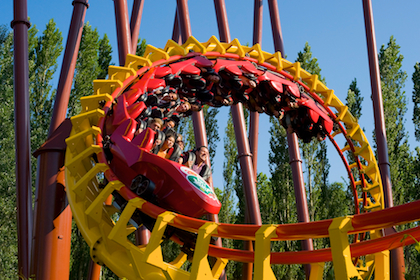 This theme park is the only place in the world, where the Gaul Spirit reigns. I mean it. If you’ve read all the 33 Astérix books, you’ll feel right at home. Imagine Parc Astérix like a trip to La Gaulle, a travel through time. The park itself is split into six areas: Ancient Greece, Egypt, the Roman Empire, the Vikings, a time-travel area and, of course, the foolish village of Gaul. But careful: It’s a seasonal park, only open from early April until beginning of November – and during some periods like early spring and beginning of autumn only on week-ends and school holidays. Situated 35 km North of Paris it’s as far as Disney, but you can get there easily by car (following the instructions for Charles-de-Gaulles airport which is situated just a few kilometres before the exit “Astérix Parc” on highway A1) or by a special shuttle bus starting at the Louvre. 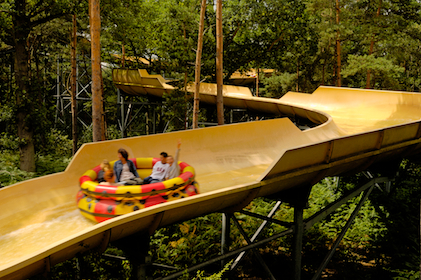 It costs you 20€ per person for the return trip (children under three are free), but the park ticket is not included. A day in Parc Astérix is truly an immersion in the universe of the famous French cartoon character imagined by René Goscinny and Albert Uderzo – which was translated into every imaginable language but completeley missed the US. Why? No clue. But don’t worry, you don’t need to be a specialist to enjoy the 32 attractions for all ages (among them around a dozen for smaller children). A part from meeting the characters in the Gaul village, there is everything from a merry-go-round for small kids to breathtaking attractions that need a higher level of testosterone to truly enjoy them. 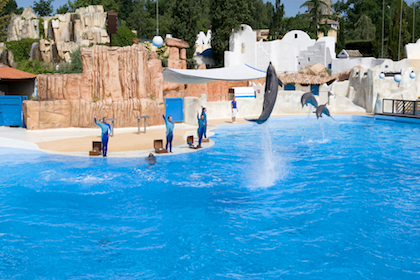 There’s Europe’s biggest wooden roller coaster, Le Grand Splatch, a nice aquatic experience, some interactive challenges and even a lovely dolphin and sea lion show just to mention a few of the nicest attractions. 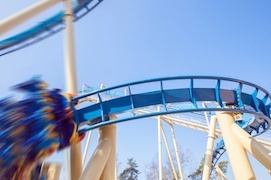 At the moment, even the Parisians are heading back to Parc Asterix to discover the brand new attraction OzIris: it’s a roller coaster so thrilling that there’s no way of getting me in. Even if you promised me money, I wouldn’t go for this trip at 90km/hour, 40 metres off the ground, zipping along the track. But I might not be the average client – for me the swing ship shaped like a Viking longboat is already fairly thrilling. Leaving the Asterix park the other day, my son declared: “I would love to live here, in a little house on Via Antiqua.” Can you imagine a nicer, more honest love declaration? Hardly. Can you imagine your every day life in Gaul? I’m afraid, he definitely would need to lead his Gaul life without his mother.